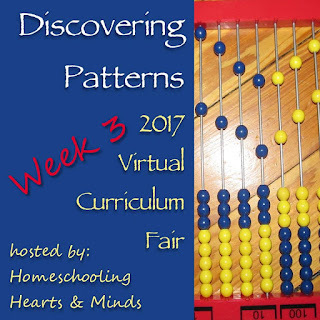 Welcome back to week 3 of the Virtual Curriculum Fair hosted by Susan at Homeschooling Hearts and Minds. Last week we talked about Language Arts, so this week: Math - Discovering Patterns, Math, and the Mathematical Sciences! If you are anything like me, just the mention of Math makes your heart beat a little faster. No, not in excitement, but in pure terror. I can still remember trying to learn my multiplication tables for TWO years. Seriously, I just stunk at them. I had a sweet teacher in 4th grade that would not give up on me- she knew I needed to know them and pushed me to succeed. Of course, I know that now, but then, I thought she just did not like me and wanted to make me miserable. Sad, but true. So yes, math is the one subject I was really afraid I would not be able to teach my kids. Sure, doing math with elementary aged kids was pretty easy. It is fun to add and subtract with teddy bear counters, tell time with fun little yellow clocks, and learn patterns with M&Ms! Good news, friends! Well actually, four points of good news! When you teach your child math, you learn as you go. Just like them, you learn, and therefore you WILL be able to teach them! Many math programs today have DVDs to follow that include full step answer guides. There are many online Math tutors out there to help you! Your older children can take online math classes from many colleges, and often receive college credit at the same time! For elementary through about 3rd or 4th grade, we still believe in Saxon Math. I know that some complain about the monotony of this program, but I believe that 1. monotony is good at this age, and 2. it makes learning fun when you can use manipulatives. As for the two sided worksheets, we required only one side be done unless the child needed extra practice. Somewhere around 4th or 5th grade, we switch over to Teaching Textbooks. Why? For several reasons actually. By the time my kids get to this age, I am training them to be more independent in their schoolwork. Being on the computer independently works better for us. In addition, I LOVE that the lessons are automatically graded!! As a busy mom, this is just one area that saves me a lot of time. I can easily check grades each week and see what problems they are struggling with. Video based lessons reach auditory and visual learners- both of which I have. For now we are continuing Teaching Textbooks for high school math. There have been a few times when I thought my children might be behind in math, but when their math scores come back from standardized testing, they always do fine, so I have let that fear go. If this is a fear of yours, ABeka Math may be a better fit for you. Remember those multiplication facts I struggled with? The two best programs I have found to combat that are Times Tales and Math U See's Gamma level. We actually took time off from our Teaching Textbooks last year for a few weeks to work through those two programs simultaneously. Our youngest learned his facts faster than any of our older kids and I HIGHLY recommend both programs. Learning Wrap Ups are also great for hands-on kids! You can get them for addition, subtraction, multiplication, and division. Click on the highlighted names above to read our formal reviews. What about you? 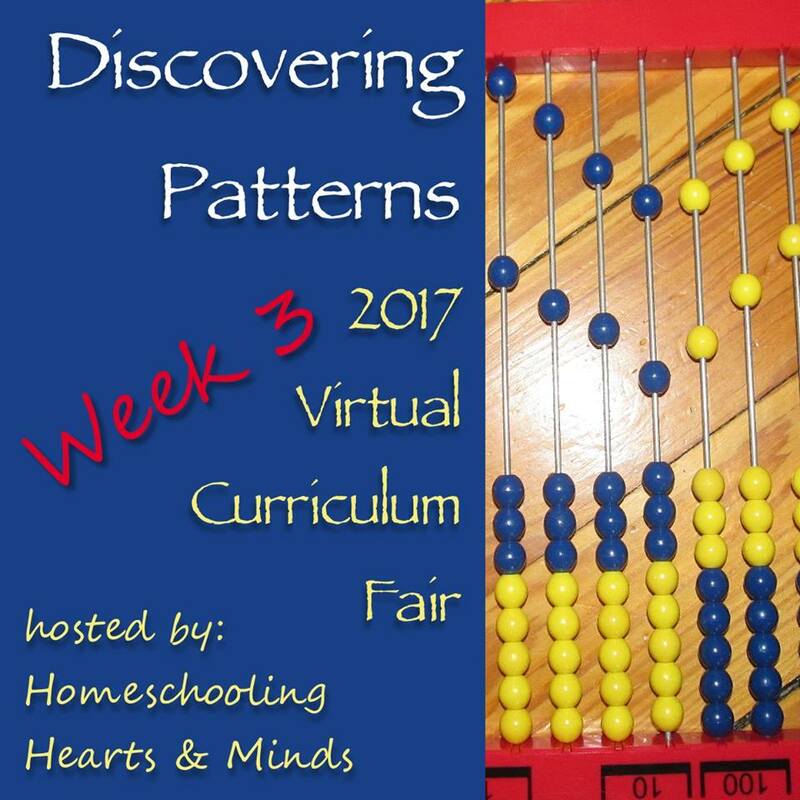 If there are math programs you have used and love, we would love to have you join us by linking up below! Share what you use and why you love it! I've heard good things about Teaching Textbooks, but never tried it. I was the kid in school who did enough to get the A in math, but I never actually liked it. Now, I have a kid who "gets" math more intuitively than I did, but he shows no interest during school--only during his own time. We switched to TT this year, but he doesn't like it either. ahh! For multiplication, my kids like Times Attack. It is basically set up like a video game and you have to complete multiplication problems to defeat the monsters. It must be great to have a kiddo who does well with math! Bravo to him!! Let us know how Math Mammoth works for you! It's a good solid program.